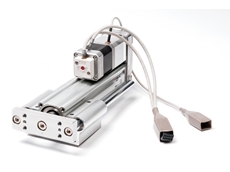 SMC are the world leaders in pneumatic technology and are experts in automation control. Formed in Japan in 1959, the company now offers over 12,000 basic products with 700,000 variants. The company employs over 22 000 people worldwide and is situated in 83 countries. SMC is the world’s leading pneumatics provider and has been voted for three consecutive years as one of the most innovative global companies by leading business magazine, Forbes. 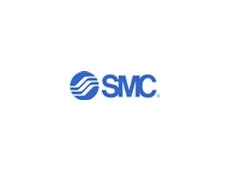 SMC holds the largest local market share for pneumatics and with a large local footprint, local manufacturing, a large sales force and the technical and training expertise, SMC is well equipped to provide in all aspects of pneumatic automation. SMC provides pneumatic components ranging from cylinders, actuators and valves to chiller and dryers with the emphasis on delivering energy efficient products which are Industry 4.0 ready. SMC, the world’s leading provider of pneumatics recently launched a new edition to the SY series of Valve Manifolds targeted at the food and packing market. 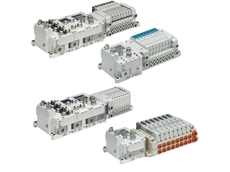 With its diverse customer base, SMC covers all automation industries and provides customers in their respective competitive markets with the best possible solutions.A rare find in the food industry – the IP69K rated manifoldAccording to Robert Taylor, Product Group Specialist at SMC Pneumatics ANZ, the new IP69K manifold is available as part of the SY 5000 range and it was developed with USA food industry customers in mind. The USA had various customer requests for such a manifold and it was developed using local market research. The recent redesign means that the SY5000 now has a IP69K rating. According to Taylor, “this is another leading edge product that SMC has produced for the market. The focus on quality and performance of this product is second to none. SMC again demonstrates that its focus is on customer driven product development.”The unit is now suitable for wet areas and can withstand wash down and cleaning. Customers have the ability to install valves outside the protective panel and close to the actuators for better control. The new device is lightweight and comes in a small package, is corrosion resistant and easy to clean and maintain.The unit is available with options of rubber or metal steel valves. Pressures from – 100 to 700kPA is achievable in the rubber seal, with the metal seal operating at up to 1000kPA.The compact unit also comes with optional power saving coil which draws as little as .1 Watt.SMC Pneumatics, a company with traditional values of building relationships and servicing customers, pride itself on customer centric design. “This is just another example,” comments Taylor. SMC has over 5000 sales people worldwide, which means we have ample opportunity to come into contact with customers and experience firsthand their need for new innovation. SMC offers customers the service of a ‘design to order’ option. This means we will design what the customer needs for a specific application. This was the case in the US and now this innovative unit is available to the rest of the market as well” he concludes. The units come fully assembled from Japan where the complete manufacturing cycle is managed in house. This gives SMC the assurance of quality in that they are hands on with the product from raw material to finished goods. The unit is thoroughly tested before it is shipped out.Surprisingly this global company can offer fast turnaround time and flexibility on these units despite it being a full import at this stage. Due to the global network, it is not difficult to get the product to the customer in record time.“If we see a market demand locally we will start stocking and assembling these units ourselves. We have the manufacturing capabilities and facilities to do this” adds Robert. Precision control is the name of the game in automation. 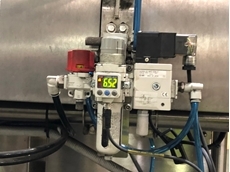 Customers are increasingly moving from manual to automated systems which can provide faster, more accurate and more hygienic ways of getting things done.This increasing trend is especially visible in the food industry where tasks can be completed faster and safer and within the hygienic requirements of the industry.The SMC range of Electric Actuators offer speed control and positioning to a maximum of 64 points. Various products in this range ensure customers have access to either positioning or pushing control with the possibility of holding the rod to push the workpiece and auto mountable switching.Stroke lengths of up to 500 mm is possible with the LEY Step Motors and Servo Motors of and the three types of mounting brackets provide maximum flexibility in terms of mounting position. 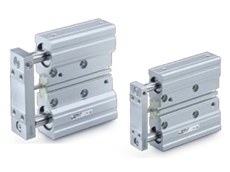 Position repeatability of +/- 0.02mm or less can be achieved and the LEY Step Motor comes in dust and drip proof IP65 rating.The rod type series can handle a horizontal work load of 80kg and a vertical load of 72kg in three mounting positions with foot, rod flange, head flange and double clevis brackets available.Products are available in in-line type motor and guide rod type with combinations of these as a further option. An LEY AC Servo Motor option is also available offering customers a high motor output of 100, 200 or 400W with improved high speed transfer ability. Higher acceleration compatible to 5000mm/S² offers customers increased accuracy and speed. The unit comes fitted with an internal absolute encoder. The driver uses pulse signals to allow positioning at any position with speed and position monitored by a PLC. There is a motorless specification as an additional option on this product. The unit is IP65 rated offering a perfect fit for the food industry.SMC offers service back up and local manufacturing to ensure customers receive quick turnaround times and more availability. The SMC sales team can assist customers with the selecting the correct product to match the customer application, while special engineering designs and product modifications can be done effortlessly through the engineering department, also based locally. SMC has offices in 81 countries and twelve offices in the ANZ region alone, with four of these being specifically in New Zealand. SMC has a manufacturing facility in Auckland which offers customers greater flexibility in terms of customization and shorter lead times for delivery. SMC’s EX600 serial interface unit pioneers the way in terms of superior benefits for complex control systems.Best-known for its flexibility and compatibility with a range of manifolds, SMC’s modular EX600 serial interface offers a full suite of diagnostics and programmable parameters to meet even the most stringent of requirements.Committed to delivering on customer demand, SMC has invested in a large stock holding and quick turnaround times on the EX600 series, thanks to its robust global supply network. Customers in the food industry cannot afford any downtime or unavailability of parts, and therefore SMC guarantees rapid delivery total customer satisfaction.Answering to the call of modern manufacturing, recent design enhancements to the EX600 series has allowed for great success in terms of robotic applications, where the speed of communication is essential. Included in its broad range of benefits, a new QuickConnect™ function has also been introduced. 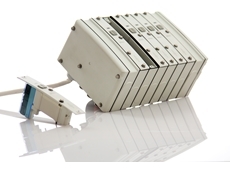 This enables the machinery to power up efficiently and to join the EtherNet/IP™ network. The EX600 is available digital input, digital output and analogue input unit options, and available protocols include PROFIBUS-DP®, DeviceNet™, CC-Link, Ethernet I/P™ and EtherCAT®.Allowing for ease of maintenance and reduced labour time, the EX600 offers reduced wiring and self-diagnosis functions. The EX600 is perfectly paired with SMC’s SY series of valve manifolds which is today one of SMC’s top-sellers. It is guaranteed to out-live your machine, achieving up to 200 million cycles when using a metal seal version! Customers can expect same day dispatch or next day delivery from Sydney, Melbourne, Perth and Auckland and a general overall delivery guideline of 48 hours on the EX600 Serial Fieldbus System. 18/11/18 - SMC Australia New Zealand offers a complete range of pneumatic and automation solutions for every need and application.SMC understands the importance of dry air in factory environments and recognises the havoc that moisture can cause in production processes. 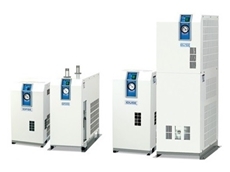 SMC’s range of refrigerated air dryers offers a cost-effective means of providing air with pressure dew points of 37°F to 50°F (3°C to 10°C), meeting the requirements of ISO 8573-1 moisture classes 4 to 6. SMC’s refrigerated air dryers feature compact construction, quiet operation, stainless steel heat exchangers, Montreal Protocol-compliant refrigerants and low pressure drops. SMC offers air dryer models designed to meet various regional requirements in standard inlet temperature as well as high inlet temperature designs. Accessories and servicing of dryers are available too.Key features include choice of sizes (IDF series); applicable for high-temperature environments; ambient temperature - max 45? ; inlet air temperature - max 65? ; and increased air flow capacity.SMC also offers membrane dryers designed for convenient point-of-use drying without the need for electrical power. Membrane dryers utilise hollow fibre membranes to remove water vapour from compressed air.Permeable to water vapour but not air, the IDG series can achieve pressure dew points as low as -44°F (-42°C) and ISO 8573-1 moisture classes from 2 to 6.The IDG series membrane air dryers have no moving parts, vibration, or heat discharge; contribute only a small amount of purge air to their operating environment; and are available as single units or conveniently assembled with necessary pre-filtration and optional pressure regulation. 12/11/18 - Approximately 70 per cent of the compressed air generated goes into air blow applications. By increasing your energy efficiency, you can improve your bottom line and also boost your competitiveness in the market.SMC Australia New Zealand has been fully committed to energy saving activities addressed at reducing your energy bills while improving your green footprint. By conducting energy saving audits and working towards green procurement, SMC has been helping their customers save energy.SMC’s VMG blow gun series and nozzlesSMC’s blow guns featuring energy saving nozzles offer up to 20 per cent reduction in power consumption (when combined with an S coupler and coil tube). It can achieve equivalent performance at lower pressures, resulting in less air consumption. 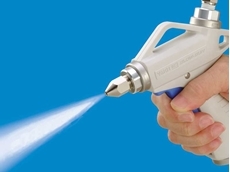 When the blow gun is paired with SMC’s KNH series high efficiency nozzle, customers can enjoy maximum efficiency thanks to a more focused blowing impact. There is a wide range to choose from and the air blow thrust can be improved by 10 per cent. SMC offers various nozzles including male thread, high efficiency, low noise with male thread, and extension nozzles.Energy saving tips from SMC: Generate just what you need: Analyse your energy bills critically. Ask the question: Is what we consume justified?Recover what you generate: Make use of different technologies to reuse the energy (heat, released air, etc. ).Monitor your consumption: Understand what you are using to instil effective energy management policies.Use only the essentials: How can we use energy more rationally in production processes? Rethink what has been done in the past.Think efficiently: The concept that closes the loop is the most important one to ensure energy efficiency. 07/11/18 - SMC Australia New Zealand announces the release of D-MP, the first sensor in their product portfolio to detect the stroke position of air cylinders at all times with continuous feedback. Offering the assurance of consistent and continuous accuracy and control, the D-MP is available in three types of outputs: analogue signal, IO-Link process data or flexible switching point.The launch of the D-MP smart actuation sensor highlights SMC’s commitment to optimising operating efficiencies for their customers. The analogue output of the actuator position has a voltage output range of 0 to 10 V and a current output of 4 to 20 mA, with all three outputs benefiting from four measurement modes within a range of 0mm to 200mm. Key features of SMC’s D-MP smart actuation sensors include multiple auto-switches replaceable by one actuator position sensor, reducing the number of components needed; IO-Link compatibility giving operators access to detailed data and flagging any issues with an internal error warning; plug & play design delivering further cost and labour efficiencies with less hardware required and a reduced risk of programming errors; and switching point offering normal and reversed outputs and four measurement modes – single point, auto switch, window and 2-point – with an ON/OFF position function, allowing multiple switching points to be defined in the smallest of spaces. 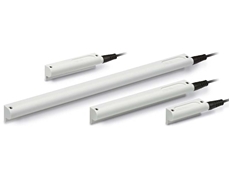 With this level of functionality and control, the D-MP is suitable for a wide range of applications such as measuring various parameters including length and width discrimination or screw-in depth of machined holes.SMC’s D-MP smart actuation sensors are IP67 certified and can withstand hazardous environments.